Completely reimagined and totally mobile, it will change the way you work with design layouts, press-ready files, and important documents forever. It's the newest version of the world's leading PDF solution. 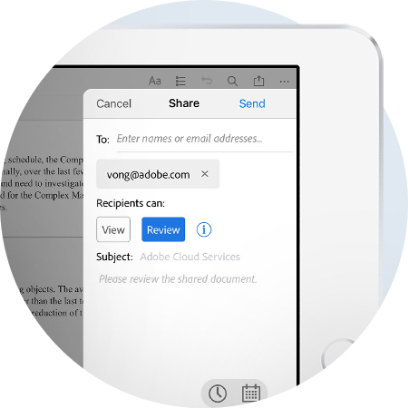 Now, you can fill, sign and share PDFs on any device. Edit anything, even a paper printout. Instantly access recently viewed PDFs across desktop, mobile and web. And spend more time on real work, less time on paper work. Acrobat Pro DC is packed with the tools you need to work with PDFs — including powerful print production and digital publishing tools. It's just as mobile as you are. So you can start a project at work, tweak it on the train, and send for approval from your living room — seamlessly, simply, without missing a beat. Edit any file, even a paper one. Just snap a photo with your phone, then open on your desktop. Before your very eyes, Acrobat will magically transform it into a PDF you can edit on your tablet — complete with custom fonts that match the type in your original file. 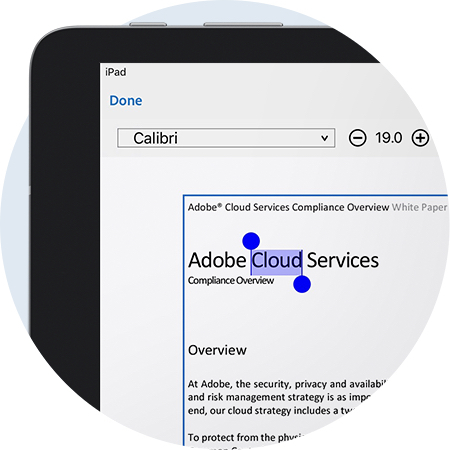 Acrobat DC brings e-signing capabilities to more than one billion devices around the world. Now anyone can legally sign documents with a finger on a touch-enabled device — or with a few quick clicks in a browser. More than just a signing app, Acrobat DC makes it easy to send, track, and store signed documents, too. Touch-enabled and totally mobile, with a brilliant, new UI that keeps all the tools you need at your fingertips — Acrobat DC is so amazing, you're going to wonder how you ever managed to get work done without it. Discover a more creative way to work. When you buy Acrobat DC, you get a free trial of all the latest Creative Cloud desktop apps. Plus Creative Cloud storage and Creative Cloud desktop manager for handling your apps, assets and libraries. Put it all together, and you have what it takes to create, edit and share your bright ideas and get your great work approved.